Aimee is an Assistant General Counsel and has been with our office since 2013. Aimee’s primary areas of responsibility and interest include the ADA and reasonable accommodations; student affairs; regional athletics; Clery Act compliance; and contract drafting and review. 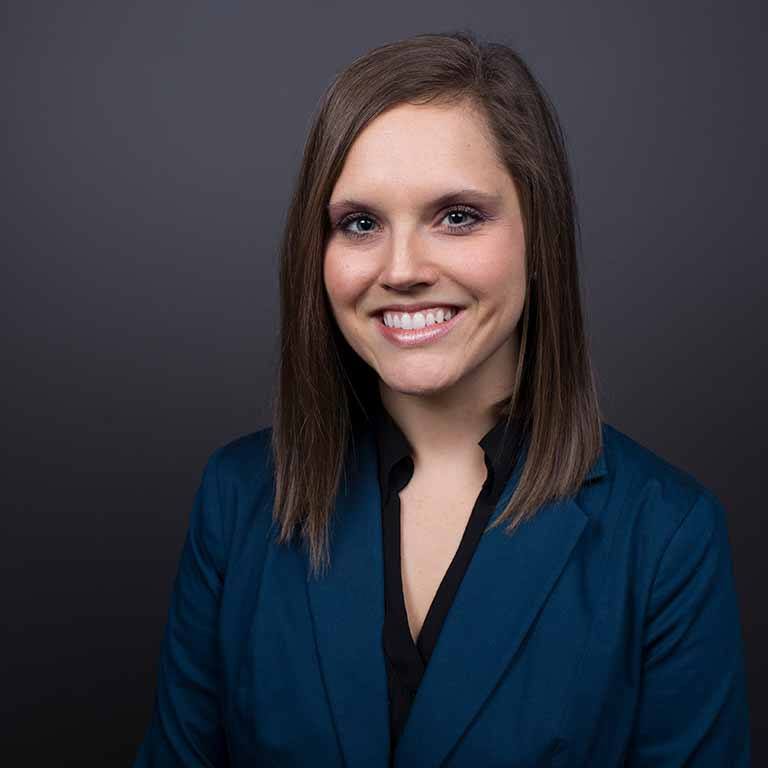 Aimee earned her undergraduate degrees in Criminal Justice and Psychology with a minor in Spanish from Indiana University Bloomington in 2009, where she was recognized as a Founders Scholar and graduated with high distinction. Sticking with her love for Indiana University, Aimee earned her J.D. from the Indiana University Maurer School of Law in 2012, where she was one of two students selected to receive the Student Clinician of the Year Award for her work as a registered mediator with the Viola J. Taliaferro Family and Children Mediation Clinic and for her work as a Certified Legal Intern with the Community Legal Clinic.